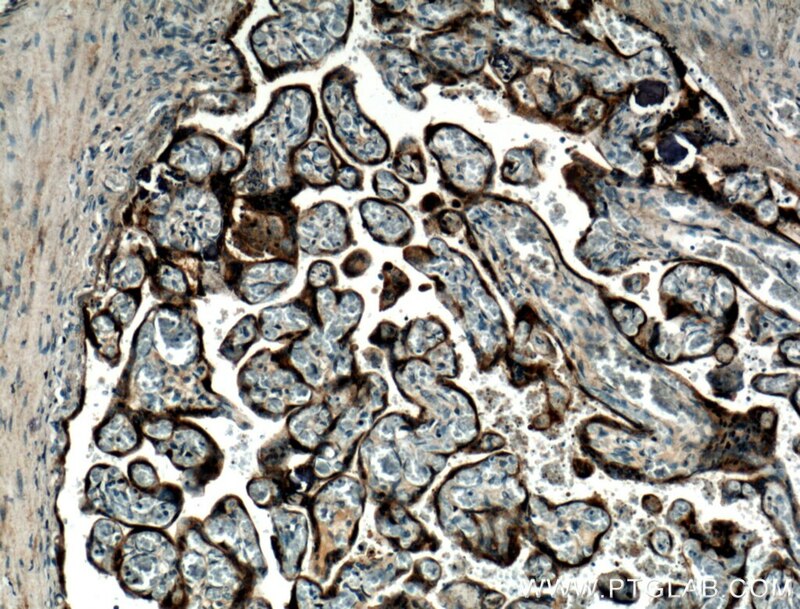 Immunohistochemical analysis of paraffin-embedded human pituitary adenoma tissue slide using 27079-1-AP( Growth hormone antibody at dilution of 1:200 (under 10x lens). heat mediated antigen retrieved with Tris-EDTA buffer(pH9). 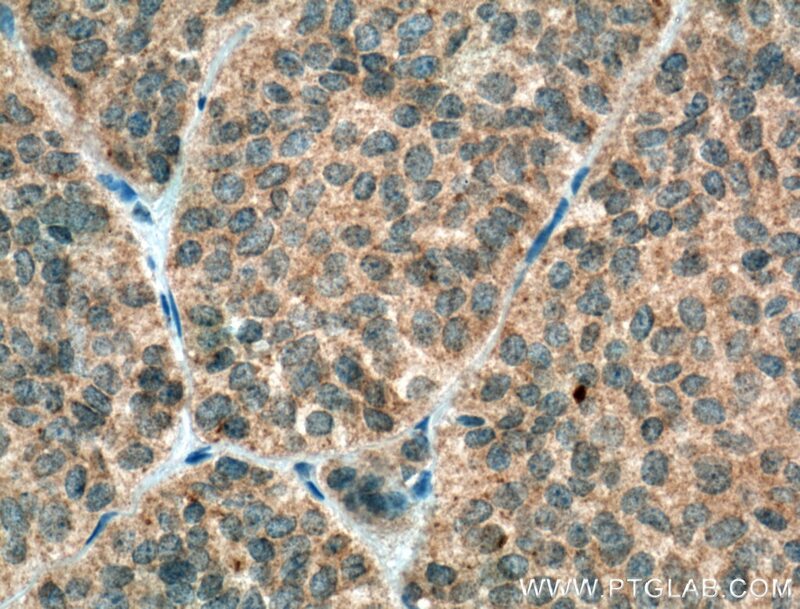 Immunohistochemical analysis of paraffin-embedded human pituitary adenoma tissue slide using 27079-1-AP( Growth hormone antibody at dilution of 1:200 (under 40x lens). heat mediated antigen retrieved with Tris-EDTA buffer(pH9). GH1, also named as GH or GH-N, belongs to the somatotropin/prolactin family. GH1 plays an important role in growth control. Its major role in stimulating body growth is to stimulate the liver and other tissues to secrete IGF-1. It stimulates both the differentiation and proliferation of myoblasts. It also stimulates amino acid uptake and protein synthesis in muscle and other tissues. 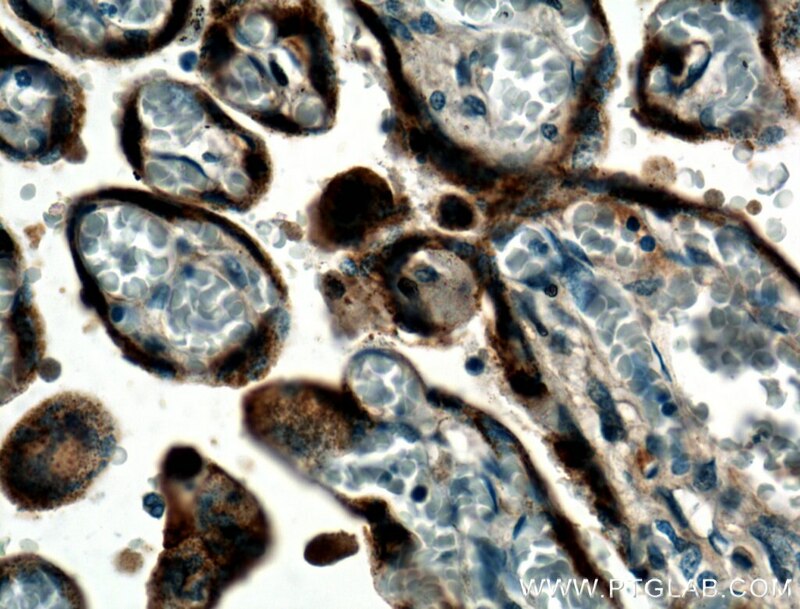 Immunohistochemical analysis of paraffin-embedded human placenta tissue slide using 27079-1-AP( Growth hormone antibody at dilution of 1:200 (under 10x lens). 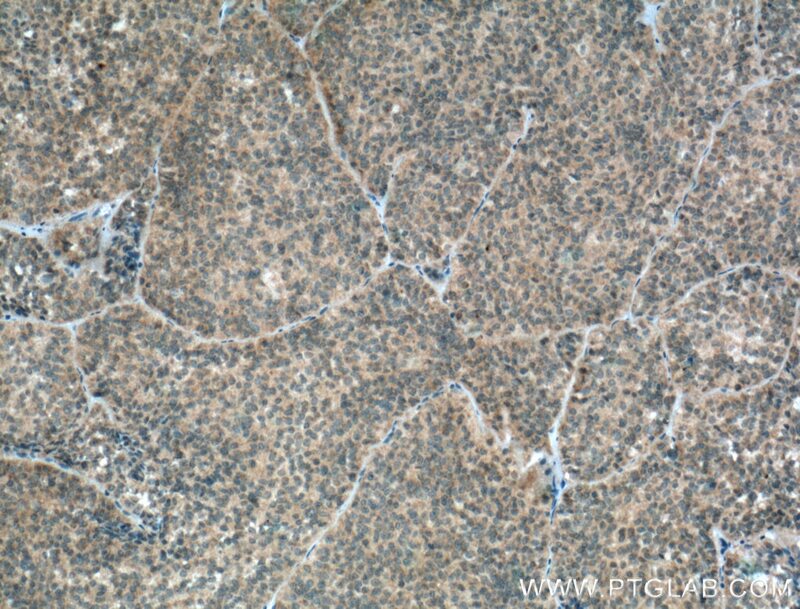 Immunohistochemical analysis of paraffin-embedded human placenta tissue slide using 27079-1-AP( Growth hormone antibody at dilution of 1:200 (under 40x lens).